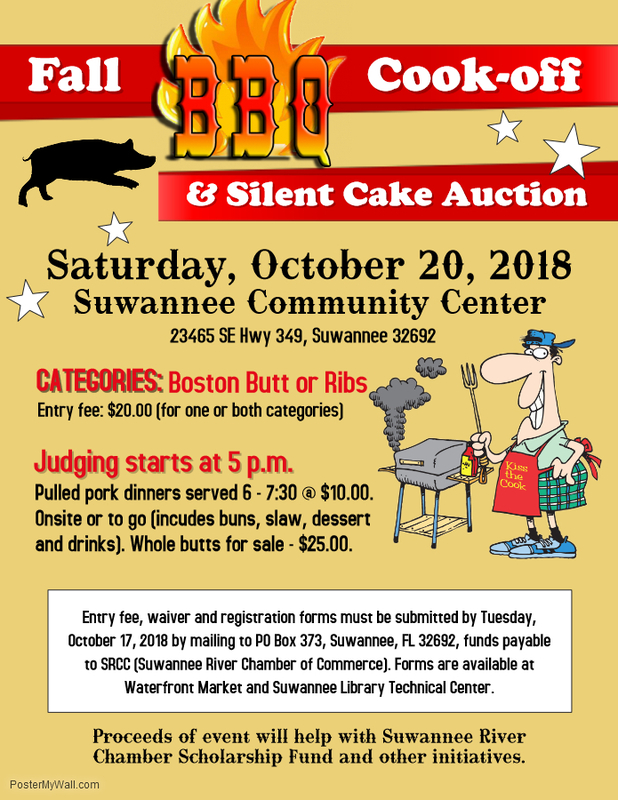 The Suwannee Chamber is holding a BBQ cook-off, cake auction and dinner on Saturday, October 20, at the Suwannee Community Center. The judging is at 5 pm where cash and prizes will be awarded, dinner is from 6:00 pm - 7:30 pm. The entry deadline is October 17. 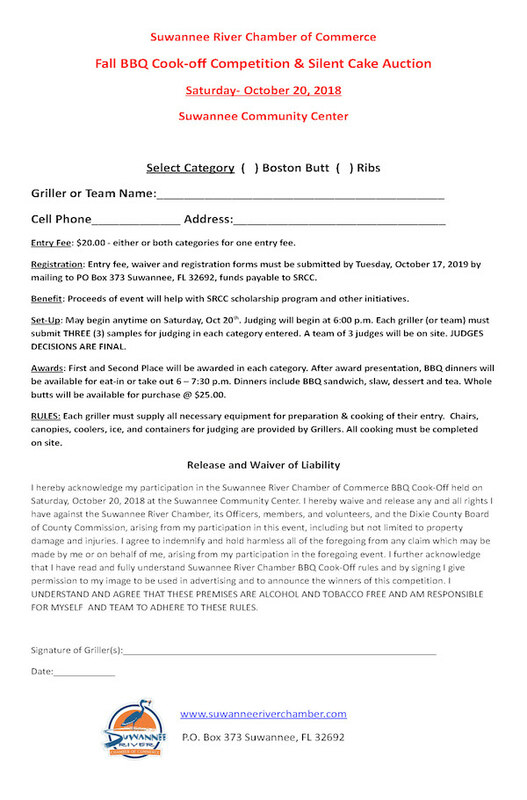 Forms are available at the Waterfront Market and the Suwannee Library Technical Center. ©2019 Suwannee River Chamber of Commerce. All Rights Reserved.